As our summer season fast approaches, we are having a busy time. 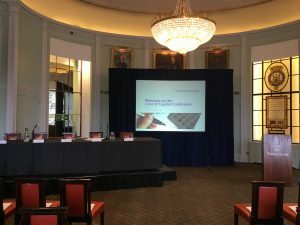 On Thursday 4th May our events team Justine, D and Megan headed off to London for the Cost of Capital Conference. You can find out more and view the full conference presentations on our ‘Previous Events’ page. 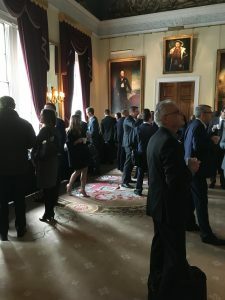 The conference took place at the beautiful Trinity House which boats some of London’s most elegant banqueting and conference rooms. Trinity House enjoys a view over the Tower of London and the River Thames. Its superb location is what attracted us to it, and we are really excited to spend the day there on 4th May! The building was designed by Samuel Wyatt in 1794 and the venue really transports you back in time. 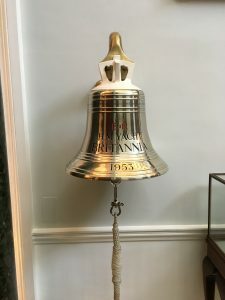 Its location, history and grandeur make Trinity House an elegant venue for many events and it is certainly well suited to ours! 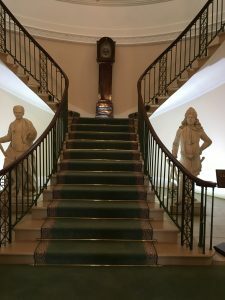 Upon entering the house you pass through the Reception Hall and are met by the twin-curved staircase and maritime artefacts which hark back to Trinity Houses’ role in maritime history. This unique location is one our speakers, delegates and staff all will remember! Don’t forget, if you’re interested in finding out more about our prestigious venue opportunities then get in touch today!